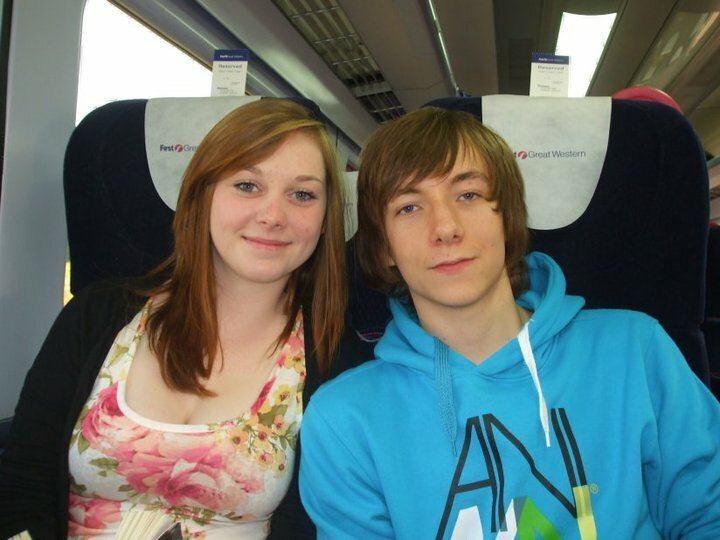 Me and my then girlfriend (now best friend), Sarah. Many people consider the end of compulsory education an important point in their life. With many young people being given their first taste of the working world and many others taking the first steps towards what they wish to do in the future it is an important time in anyone's life. In my case, it turned out to be even more so! Today I'm going to be covering my initial diagnosis and the symptoms I had before it, which should be enough for today! My first proper symptom seemed innocent enough, an unusual pain in my right knee which seemed to come and go. I first started to get it around early May, just as I was starting my GCSE exams. I went to the doctors' with it but they didn't think anything of it and put me on some painkillers for the time being. After about two weeks the pain subsided and then disappeared completely. I didn't really think anything of it at the time and soon forgot about it. It wasn't until the beginning of June that it returned, somewhat more severe this time, keeping me up at night on a number of occasions! My bit of advice for anyone is if a pain is anywhere near this bad, go to your Doctor! Don't wait and see how it goes, don't worry that you're wasting their time (it's their job to deal with this kind of thing!) and most of all don't just ignore it. Once again it went away after about two weeks and I forgot about it. I was unusually tired throughout my exams, but it isn't out of the ordinary for teenagers to be lazy and not really want to get out of bed so no one really took notice. Some days I would arrive home at about 4pm and sleep through until half past 6. Only later on did I realise that this was caused by the cancer sapping my energy as it grew. I finished school at the end of June and went to our school prom looking rather dapper if I may say so myself! Josh and I on the left and Ruth and I at our school prom. Hi Ruth and Josh! The summer holidays proved to be fantastic, if carlsberg did summer holidays this is what they would be like! At the beginning of August my doctor referred me for physiotherapy on my knee, my first appointment was to be on the 31st August. It wasn't until the second week of August that I noticed my next symptom. A large swelling on the right side of my lower back. My Mum booked me in for a doctor's appointment (My Mum is literally the best!) and we went to visit the doctor again on the 19th of August. He told me to ring up and book an ultrasound, but didn't appear too worried about the lump. Me being a 16 year old lad at the time got my Mum to ring up and book it. She was told the waiting list would be six weeks but she was worried about what it could be so did everything she could to get it as soon as possible. Luckily I managed to get a cancellation on the 31st of August. This would prove to be a very significant date in my life. It started off like any other day. I remember being on the phone to a bloke from Karoo trying to fix my internet, only to discover I'd put in the router password wrong! I went to the physiotherapy in the morning and the nurse gave me a list of exercises to do to help with the knee pain. She wrongly assumed it was a disease called Osgood-Schlatter disease, something to do with the growth plate in my knee not growing quickly enough. I can't for the life of me remember what I did in the time between then and my later ultrasound at Castle Hill hospital! It was later on in the afternoon that I went for my ultrasound. I was lead into a quiet room (my God that sounds dodgy when I read it back) and told to take my top off (O heck even worse!). They scanned the lump with the ultrasound but it wouldn't fully fit onto the ultrasound screen. The doctor immediately took me for an x-ray of my pelvis and I didn't really think anything of it. Doctors are amazing actors sometimes, they are almost impossible to read. My Mum however, was a nurse and realised something was up but didn't say anything. This was then followed by a CT scan of my lungs, although they didn't tell me what they were scanning so as not to worry me or my Mum. I realised something was wrong when the woman who did my CT scan wouldn't look me in the eye and tried to make small talk about my phone. Something wasn't quite right. The doctor took my Mum and I into a small side room. We sat down and she told me that there was something "not very nice" on the right side of my pelvis. She told me that it was most likely an aggressive malignant tumour. Medical speak for cancer and an aggressive one at that. I asked if I would be okay, and then answer was that they didn't know. They knew it was aggressive and that I was dying. The only way I would live was a very very harsh chemotherapy regime at least and potentially surgery or radiotherapy. It was like staring death in the face. And there was no way I was going to back down or give in without a fight. I don't think anyone in my family slept at all that night. I know that I didn't even close my eyes. Thanks for sharing great article that provide complete information to recover cancer diagnosis.